Robert Lighthizer will take the lead in trade negotiations with China, Larry Kudlow said Monday. It was unclear who would lead the U.S. team negotiating with China during the trade truce. Talks in November between China and the U.S. had been led by the Treasury Department’s David Malpass and President Trump said in Buenos Aires that talks at the G20 meeting were being led by Kudlow, who is the director the White House’s National Economic Council. 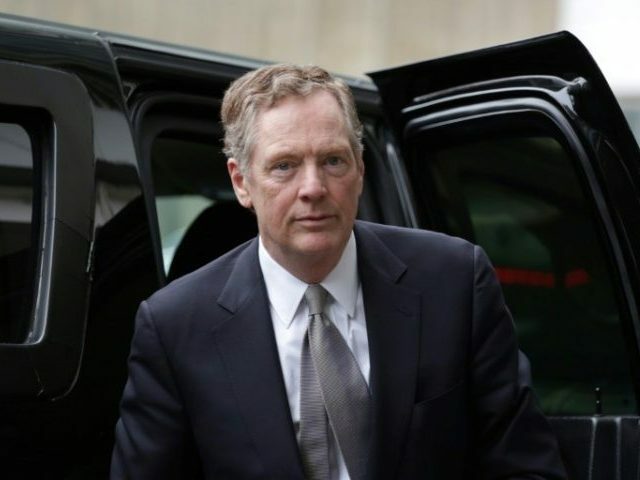 Earlier Monday it was reported that Navarro had said that Lighthizer would take the lead role in further talks. But when Treasury Secretary Steven Mnuchin was asked to confirm Lighthizer’s role, he declined. Instead, he said the entire Trump administration team would be involved and the negotiations would be led by the President. Kudlow also had declined earlier to confirm that Lighthizer would be the lead negotiator. This prompted speculation that it was not yet clear who would be leading the U.S. team. “I’m very happy that Bob Lighthizer will be running the trade negotiating side and the monitoring side,” Kudlow said. Kudlow is a self-described free-trader who has often been characterized as being allied with Mnuchin in internal White House debates over how hard of a line to take with China. Navarrow and Lighthizer are reportedly far more skeptical that China will make the changes the U.S. has demanded. Kudlow described his own view as “cautiously optimistic” that a deal could be done. “This is new. We’ve never been this close,” Kudlow said.